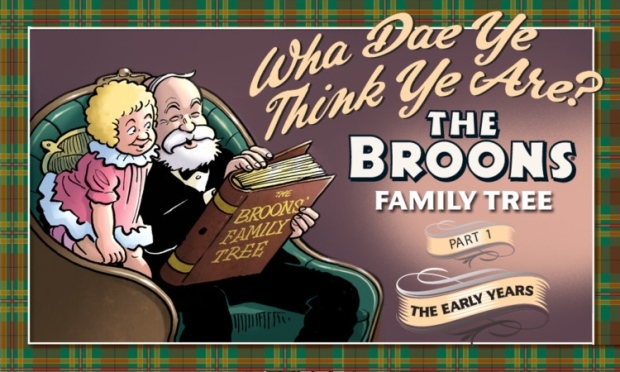 Do you know The Broons? I wasn’t aware of them at all until I met Mr Vohn. The Broons are a Scottish comic strip family published weekly in the Sunday Post newspaper since 1936! They are a family of nine, ranging from Granpaw Broon to the Bairn (bairn is a small child in the modern Scots language). Many misunderstandings across the generation gap ensue and this, coupled with their small house and struggle for money, create much mayhem and hilarity. 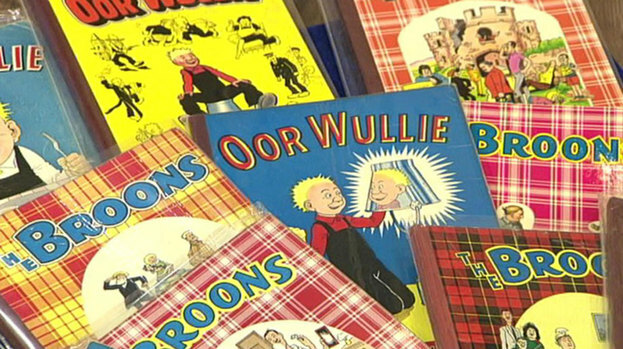 The Broons have their own annual, which is published every two years alternating with Our Wullie, another Scottish comic strip. Mr Vohn received one of these annuals as a Christmas gift every single year from his parents since before he could even read. They would be a valuable collection, if only he had kept them all! Scotland is fiercely proud of the Broons, who are often called the Nation’s favourites or Scotland’s First Family. So much so that a range of products has grown from the name. Granpaw Broon wrote his own book of Gairdenin’ Wisdoms (that’s gardening advice to us non-Scots), Maw Broon has written her own series of cookbooks and there is a whole range of kitchenware, artwork and clothing. Some of these are produced directly by DC Thomson, the publishers of The Sunday Post newspaper and some are produced by independents under official licence. A shopping bag for Maw and a bottle bag for Paw!